Roof Replacement is something most homeowners will only go through once or twice in the life of their home. However, in our region of the country we have intense weather systems such as rain, snow, hail and gale force winds that can rapidly take it's toll on your roof. These issues become much more prevolent if you have an older home with older roofing material that isn't up to the same standards of the roofing materials we are using today. It's not uncommon for a new roof replacement to last 25-50 years, even with our harsh weather systems your roof is exposed to annually. The difference is in WHO you choose to replace your roof. RB Contracting is a specialist roofing contractor, roofing is the bulk of what we do. From insurance claims involving extensive damage to propery preservation to just replacing the old worn out roof on your home when it's time, RB Contracting does a number of things differently that we know makes a difference in the final quality of your replacement roof. Asphalt Roofing - RB Contracting sells and installs Asphalt shingles from leading manufacturers such as GAF, Owens Corning, IKO and Certainteed. We use materials that come with an unbeatable warranty so you get the most value out of your roof replacement. Asphalt roofing is the most common type of roofing material. 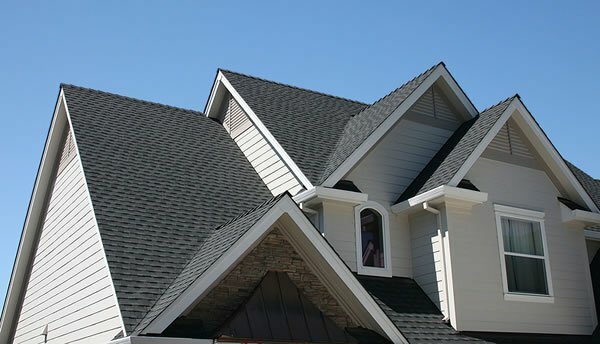 Cedar Shingle Roofing - RB Contracting sells and installs Cedar Shingle Roofing. If you're looking for a natural or more "rustic" look for your home then you should consider a Cedar "Shake" or Shingle roof. Cedar Shingles are very durable despite being a natural material. Cedar Shake roofs are easy to repair too and when well cared for can last 30-50 years or more! Designer Roofing - RB Contracting sells and installs designer and luxury roofing systems from quality manufacturers such as GAF, Owens Corning and IKO. Designer Shingles are manufactured to a higher standard and they also come in many different patterns and designs. If you want a stylish roofing material on your home, then you want designer shingles. We know you've probably taken great care of your yard and we'll protect it as if it were our own. We won't mow it for you but we'll be sure to use a magnetic roller to clean-up any nails on the ground and we'll even clean out the gutters of any debris from installing your new roof too.